Here's one for the "I can't believe it" category. What do you do when you have a 1000 Lb. 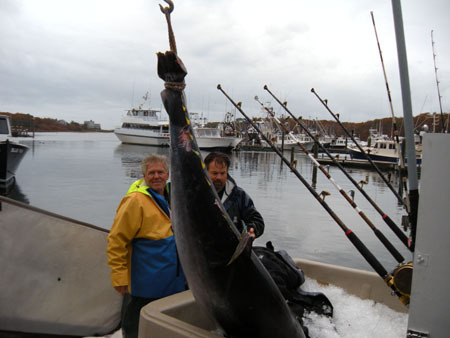 tuna and you have no place to keep it on ice on your boat? Well, if you happen to have this particular boat and an extra hot tub - there's your answer! Discovery Channel's "Swords" star Artie Jost and his son had just such a problem. What did they do? 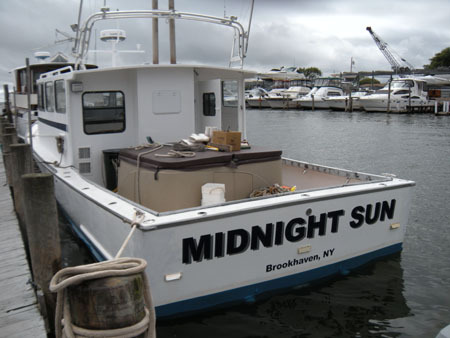 They took an extra hot tub from their hot tub store in Patchogue, Long Island, New York - and they put it in the back of their boat, the 'Midnight Sun". Then Artie and his trusty son Greg, filled the hot tub with ice. 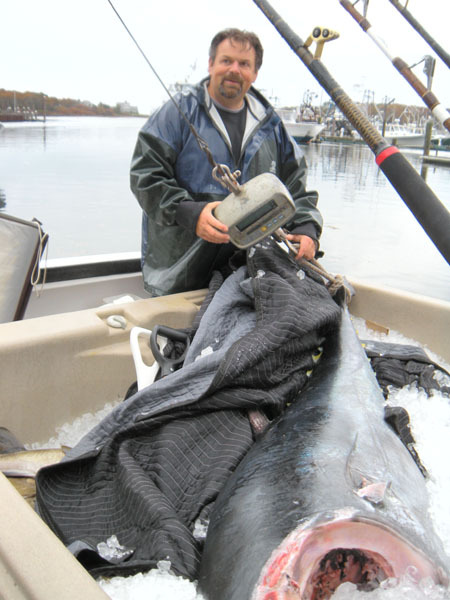 Journeying out into the rough waters of the Atlantic Ocean off Long Island, they captured a huge giant tuna fish. 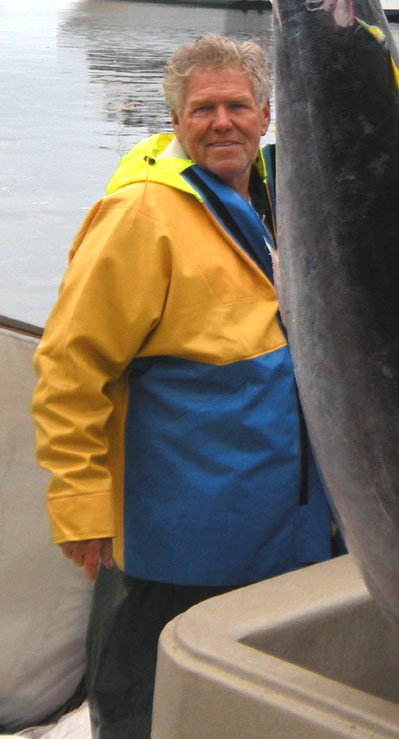 Luckily, they had thought to put that tub filled with ice on the deck of their boat, and they were able to preserve the tuna's tasty freshness by putting it on ice - in the tub - on the boat! What will they think of next?